The rhythms of this novel are the rhythms of the land. A Place on Earth resonates with variations played on themes of change; looping transitions from war into peace, winter into spring, browning flood destruction into greening fields, absence into presence, lost into found. 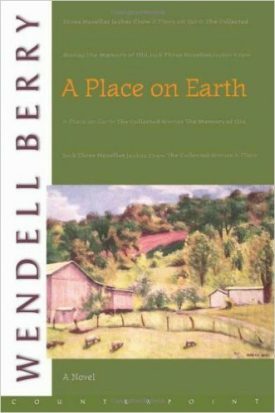 This brings the revised 1983 edition back into print, the next book in our program to put all of Wendell Berry’s fiction into print in revised and corrected uniform editions.